Philosophy, derived from the Greek word ‘philosophia,’ translates literally to ‘love of wisdom. Philosophy is the study of general and fundamental problems that concern concrete matters such as values, existence, knowledge, reason, and language. Methods of philosophical examination include questioning, critical analysis, and rational debates. Philosophical questions that have been posed in the past include: is it possible to know anything and prove it? What is most real, and what is the meaning of life? However, philosophy is also concerned with more concrete questions such as: do humans have free will, and what is the best way to live a life? Psychology, derived from the Greek word ‘psychologia’ translates literally to ‘the study of human spirit.’ Psychology is the study of the human mind and human behaviour. It incorporates the examination of both conscious and unconscious experiences, as well as the interactions between thoughts, feelings, and behaviours. Psychology is an academic discipline and applied science, which seeks to understand the role of mental processes in human behaviour, whilst also exploring the physiological and biological functions that underpin cognitive processing and behaviour. Concepts explored by psychologists include perception, cognition, attention, emotion, intelligence, phenomenology, motivation, brain functioning, personality, behaviour, relationships, and resilience. Methods of empirical psychological investigation include experimental studies to infer causal and correlational relationships between distinct variables. Philosophy arguably underpins all sciences, including psychology, and thus both disciplines overlap to some extent. However, although both bodies of knowledge examine people and life, the aspects each discipline focuses on, is considerably different. That is, while philosophy attempts to understand the existence of human life, psychology attempts to understand human behaviour. Apart from the topics that each area covers, philosophy and psychology also differ in terms of the methods they use to answer questions. Philosophy looks into areas such as life after death through questions and answers, and will never produce a single, correct answer. Contrastingly, psychology uses scientific method to understand human behaviour. This involves hypothesis testing that result in logical conclusions, supported by both observations and physical data. Furthermore, philosophy and psychology differ in employment opportunities. 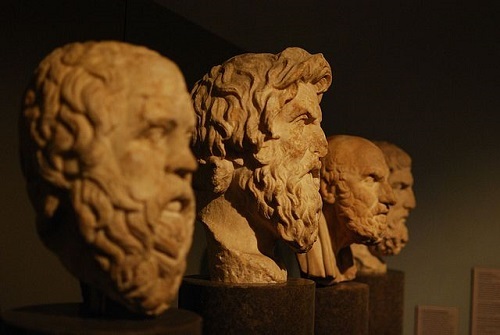 Philosophy majors can be employed as teachers, researchers, authors, and academic speakers. Contrastingly, psychologists are able to work across a wide array of fields. They can become clinical psychologists who diagnose and treat mental health conditions, or they can become counselling psychologists who provide people with advice on different issues. Psychologists can also become academic speakers, tertiary education lecturers, authors, and researchers. Emily Habelrih. "The Difference Between Philosophy and Psychology." DifferenceBetween.net. August 15, 2016 < http://www.differencebetween.net/miscellaneous/the-difference-between-philosophy-and-psychology/ >.